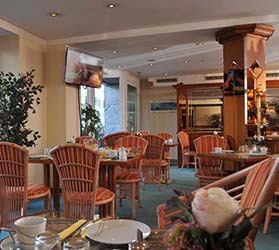 Our cosy, art nouveau style hotel is ideal for both business travellers and tourists. Thanks to its ideal location in the heart of Berlin, most interesting sights can be reached on foot: leave your car at its hotel parking space and explore the famous Kurfürstendamm, the KaDeWe or the picturesque Kaiser Wilhelm Memorial Church. 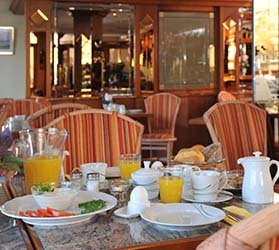 Before you begin your day, relax and enjoy our sumptuous breakfast buffet. It's an important foundation for a pleasant stay in Berlin. The breakfast buffet is available every morning from 7 to 10 (or earlier upon request).